I have been the Young Women's president for about a year now. I'm not particularly good at it nor am I a "favorite" among the youth or what you might call, "well-liked" by anyone in my ward. However, I have put together a list of highlights--10 of them--for your bloggish delight. 9. In a particularly emotional conversation between myself and a woman who was (against her wishes) being called out of young women and into another church calling, my response to her open weeping was to take a deep breath, fill my cheeks with air, raise my eyebrows, and slowly blow the air out while the only thought in my head was "I got nothin." 8. At youth conference, just after I had walked all the way across campus to the place where lunch was being served, a girl in crisis alerted me that another girl was throwing up back at the dorm and needed me. I sprang into action and went back to the dorm, but not without considering whether it was appropriate to first eat a piece of pizza. What would you do? 7. For my very first activity I planned "Chess Knight." A chess pro from my BYU class taught everyone the rules of chess. People tried to talk me out of it, but I persisted. It was WILDLY successful. Sadly, I had to fail the chess pro. I'm pretty sure he thought his favor would result in favors from me at the end of the semester. My, it was awkward. 6. Convincing the Bishop that the youth and each auxiliary should NOT put on a play at the ward Christmas party. No need to thank me. 5. After a lesson on appreciating the bishop, we had an activity wherein we ironed the bishop's shirts and inserted labels which read,"Gladly ironed for you by the young women." Understand, you could not grow up in my home without emerging with a feminist bent; the fact that I did this activity without the slightest trace of irony or sarcasm is something I'm truly proud of. It was my finest--and most conventional--hour as Young Women's President. 4. When one of the young men brought my three crying children to me on a Wednesday night during an activity. He had found them alone in the nursery. I had put them there. 3. My second--no, my third lesson on chastity. 2. "Girl Talk," a cleverly disguised lecture on modesty given by Carrie Ann. This too was WILDLY successful--only three girls walked out! 1. Almost doing the following: climbing a rock wall, playing partner volleyball with towels instead of hands, sitting in a dunk tank, dressing up like a pirate, letting a 12 year old braid my too-short-to-braid-hair, singing along to a Fleetwood Mac song at Youth Conference (oh, wait--I did do that). My life has been enriched by almost doing all of these things and I can honestly say that had I been hard-pressed, I would have done all of these things but, again, there's the whole issue of no one knowing who I am or why I am there so there's not a lot of pressure for me to get up in the dunk tank--and believe me, I recognize and count this as one of my greatest blessings. Laughing so hard...but admiring you so much. One of my dearest friends was just called to be the YW President...in the ward we grew up in. And my mom is her first councilor. I am SUCH a good friend...I totally burst out laughing when I found out. But really, NOT because she was called...just because I can't believe one of us is actually a YW Pres. I concur with JP: you are a fabulous YW president. And sorry I tried to talk you out of the chess thing, bluey blue. I just wasn't thinking outside the box like you were. 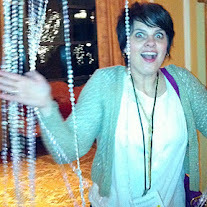 Kacy, this really was bloggishly delightful! Pretty proud of you for holding in the sarcasm ironing shirts. wow. I too would have put the children in the nursery. I think I know which one of the girls in your ward has been in the state mental hospital. I believe it is the one that was in my psychology class. How Ironic. If it was her then it was in no way your fault that she needed to go there. I just keep thinking, "How did you get the bishop's shirts?" Our most successful YW activity to date was playing ping pong with one table and 30 girls. It's that game where you hit it once, then run to the other side. I'll tell ya - I was just as surprised as you are reading this that it was actually fun and entertaining. I love the chess idea. I'll have to suggest that one. I've never learned all the rules because when I read The Joy Luck Club I was very intimidated by the child-prodigy chess player. And I bet they love you. Had you put it to a vote, I would definitely selected “bluey blue” as #1, although I’m also a fan of the non-ironic ironing of the shirts. Also, there’s nothing the matter with eating pizza while you dash back to your barfing charge, as long as there’s no danger of you barfing. I spent 4 years as Young Women president and would be hard pressed to come up with 3 or 4 glorious moments. But fortunately I published a weekly newsletter all four of those years and I kept them - in chronological order no less - and so I could go back and read them and come up with many glorious moments - mostly with my own daughters - but I choose to just let a faint aura surround those years - it's nicer I think. I am now Relief Society president - and I also do a weekly newsletter and they too are nicely kept in chronological order - but it's only been one year and going over things might discourage me! !